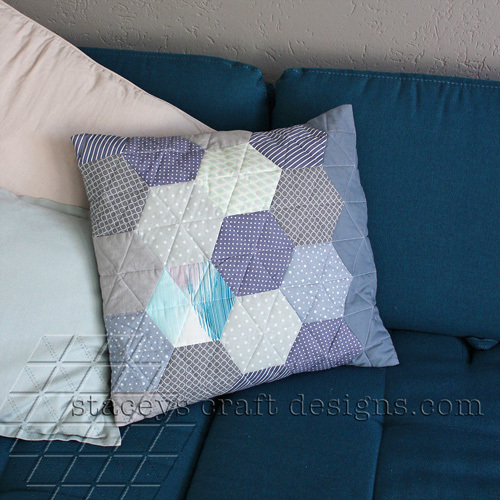 These cushion covers are easy to make. Just choose a nice fabric, take some thick batting and a backing fabric and sew your own preferred motive. 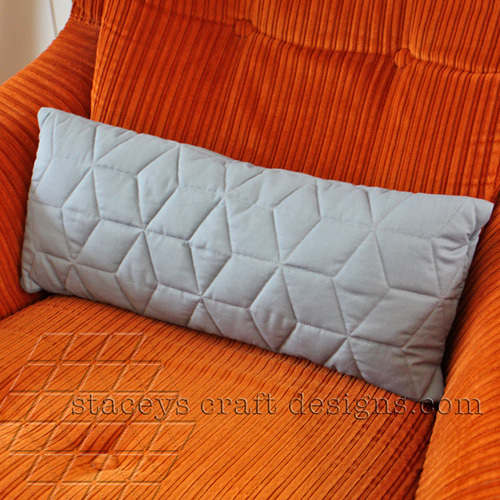 As you won’t see the backing fabric you can use it to draw your sewing design on it. 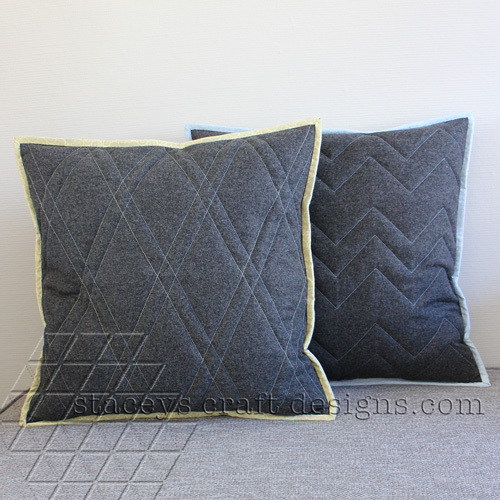 For these two cushions I used a contrasting light yellow and blue thread on dark grey wool felt. 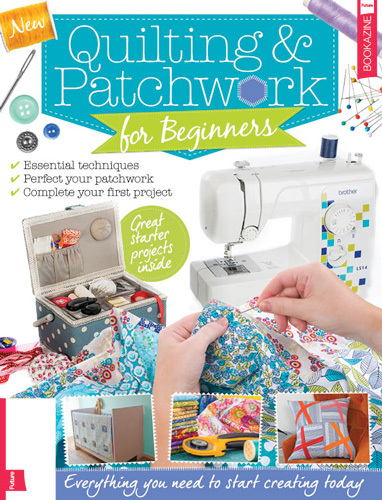 You could also use a thread in the same colour and/or you could use a decorative stitch. The variations you can make by playing with the fabric, thread colour, stitch sort and design of your sewing work are endless. 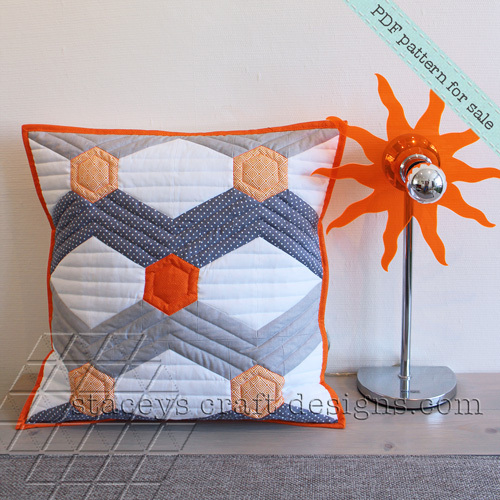 Another thing that is great about these cushion covers is that you can practice your quilting skills on a manageable project. 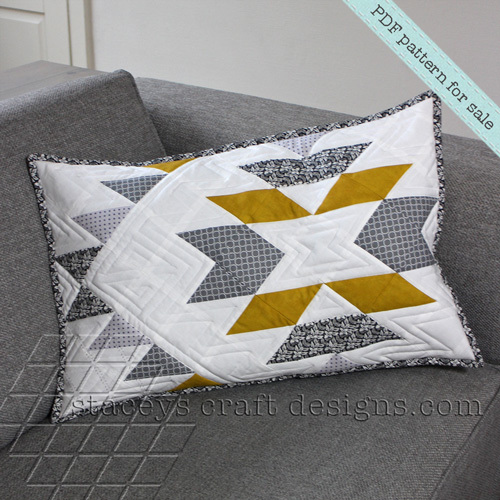 The diamond and chevron design is great to practice straight lines and is easily made with your walking foot.